Belts are being used with both formal and casual outfits. They are considered as the essential part of the dressing, especially for formal occasions. The main reason for using crocodile or alligator leather rather than other material to manufacture belts is its reliability. The crocodile or alligator leather is considered the most reliable and durable material for manufacturing belts. It can long last for a couple of years if you had taken good care of this crocodile leather. The alligator or crocodile leather offers distinctive pattern as compared to the other material. It offers the natural pattern of the alligator or crocodile skin. You don’t have to build artificial designs over the material to give the better look to the product. This interactive and unique design pattern offers a great fashionable edge to a crocodile or alligator belts in the market. The crocodile or alligator leather offers better quality than the other material. It does not affect by the external environment easily. In the case of other manufacturing material, people have to build the manufacturing material by the combination of many other substances. That material is made artificially and does not offer better quality product while crocodile or alligator leather is a natural material which is the real skin of a crocodile or an alligator, that’s why there is no chance of interaction of any kind of other artificial substance in crocodile or alligator leather due to which, it offers better quality material. The alligator or crocodile leather is more stylish material as compared to other material. It offers the more stylish and elegant product as compared to the product manufactured with any other animal’s skin. 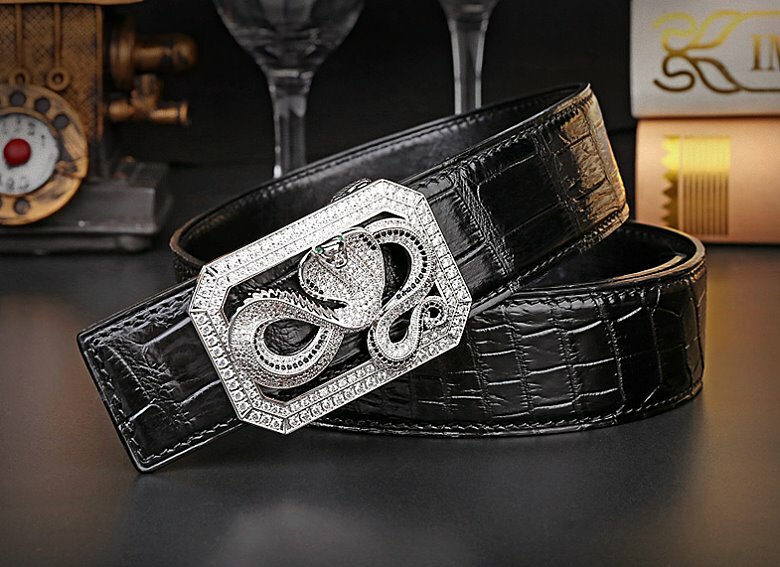 The beautiful and distinctive design patterns that are offered by the crocodile or alligator leather make the belts more stylish and unique and also offer more elegance to the personality of a person. The alligator or crocodile leather is a flawless material. As we know that there is quite of possibility related drawbacks and flaws in the materials that are artificially manufactured. Although the cow or other animal’s leather is free from flaws while sometimes, there also appears little bit flaws in the design or skin of those materials. While crocodile or alligator leather is totally flawless material because it is directly obtained from the skin of a crocodile or alligator. The crocodile or alligator leather is reusable material. 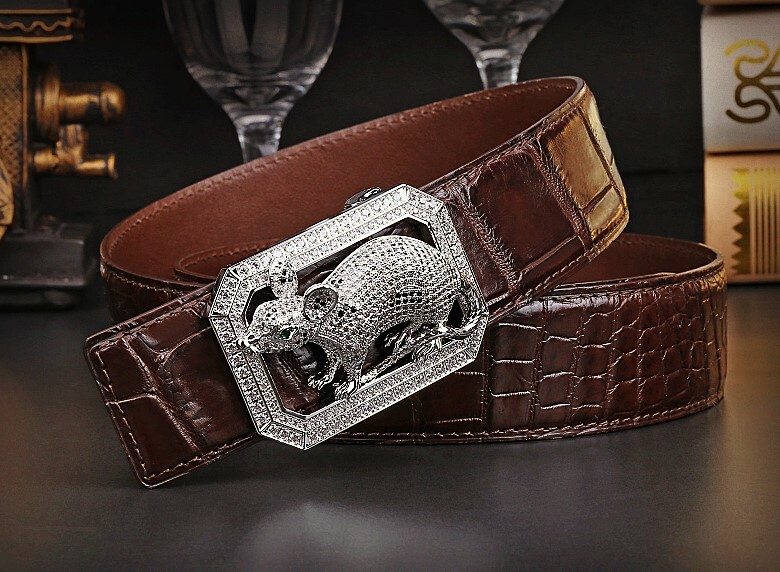 As we know that the crocodile or alligator leather is much expensive and rare due to which the belt manufacturing companies try to utilize the huge amount of the crocodile or alligator material to manufacture belts and don’t want to waste even an inch of the crocodile or alligator leather. Well, in this regard, the crocodile or alligator leather offers this facility in itself. You can easily utilize the leftovers and irregular cutting of the crocodile or alligator leather to manufacture a belt by assembling them with each other. This is because the design pattern of this leather is unique enough that it is not affected by the combinations of different pieces or cuttings. You don’t have to cut a fresh piece of alligator leather to make a new belt. You just simply apply the pieces of irregular cuttings and leftovers on the belt and you will get a new flawless designed product. The products like belts manufactured with alligator or crocodile leather are much popular among people. People prefer to buy crocodile or alligator belts because they offer lots of benefits to the people. It offers the style, elegance, better looks and impressive personality to their outfit. It is also long lasting and durable product due to which people also prefer to buy the crocodile or alligator belts. 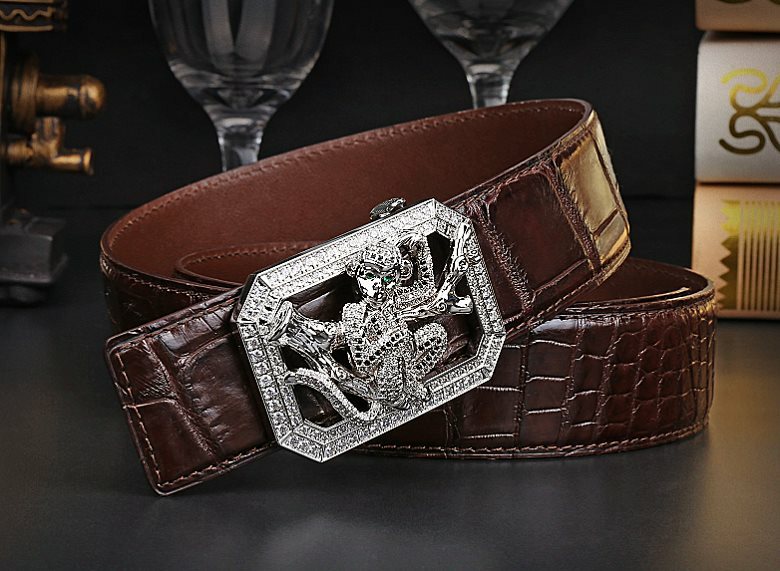 The crocodile or alligator belt also offer them the versatility to wear at all type of occasions. No matter it is a formal business meeting or a friend’s birthday party, it will suit in both the situations. Well, due to these lots of benefits, people often buy crocodile or alligator belts. The first tip to take care of a crocodile or alligator leather is to protect it from high temperature. The high temperature can severely affect the skin of the crocodile or alligator leather and can cause cracks or shrinks at the surface of the leather. Crocodile or alligator leather is often considered a water repelling material but in it can absorb a little amount of water if you do not use enough water for its cleaning process. This absorption will severely affect the crocodile or alligator material from inside and will make it a non-reliable product. When you are not using a crocodile or alligator belt, then always hang it in a coat hanger instead of folding or keeping it in a small drawer. If you do not hang it and keep it in a drawer by folding it, then there is a huge chance there appears cracks on the surface of the crocodile or alligator belt and may tear off from that cracking places. So, consider the above-described tips and make your alligator or crocodile belt more reliable and long lasting product.